In My Mailbox is weekly meme hosted by Kristi over at The Story Siren. The idea is to share books you've acquired during the week, whether you've won them, bought them, picked them up at the library, received them for review, whatever. It's a great way to bring attention to books and authors and share the love! Since I hardly ever buy books anymore because I can't afford to (*sobs*), I get most of my books from the library. I still have a few library books from previous trips, but this week I picked up a few more, and received another book for review. 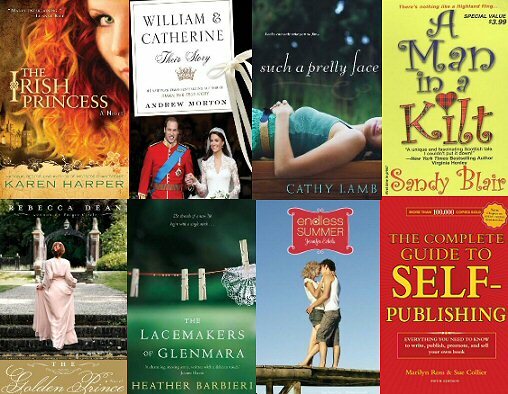 What books did you buy, borrow, win or receive this week? I've only read the first three books in the Queen Besty Series. Looks like you got some good books. Enjoy them. undead and unworthy looks great. thanks for sharing! I have A Discovery of Witches as to-read. Great set! 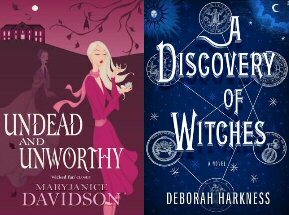 I really want to read Discovery of Witches. Heard so many good things. Undead and Unworthy has an attention grabbing cover! Enjoy your new reads. I will be looking for your review of That Day in September as I may be reviewing it as well. It'll be interesting to read your opinion. Come by My Bookshelf to see what arrived in my mailbox and check out the fabulous book giveaways I am hosting for August!!! Thanks for stopping by my blog. I hope people will participate in the Bookography, it should be lots of fun :) I would love to see other photography of books people will take. I have seen Discovery of Witches every where, I think I will have to look into it one day. I've never read any of these, but there's been so much hype around A Discover of Witches. I hope you enjoy them all. Happy reading!